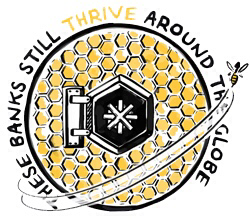 The idea of regional banks, a bank that recycles savings in the area and boosts the local economy, is one that has created a buzz in recent years. Now, there is a new co-operative society that aims to make this happen. The Community Savings Bank Association is testing public and institutional interest in all regions and nations of the UK in new banks that would offer a full and competitive service…and be customer-owned. James M Moore, Chairman of the Community Savings Bank Association, is encouraging people to register if they have an interest in a customer-owned, co-operative savings bank for their region. These would be the first customer-owned co-operative society banks in the UK. The rules for the new society are registered with the Financial Conduct Authority. While The Co-operative Bank has an active commitment to co-operative and ethical values, including the launch of an excellent new campaign this month on financial abuse, it now operates with investor ownership and was never a primary bank that was a customer-owned society in the way that the great international co-operative banks, such as Desjardins in Canada, have been. Across Europe, for example, co-operative banks have around 20% of the retail banking market and offer a lifeline to regions that benefit from keeping money local. Credit union membership is growing in the UK, and building societies remain with good roots in some regions but a full financial service bank owned by customers would be something very different as an offer to what they and the mainstream banks provide. One model is the Airdrie Savings Bank, the sole surviving and celebrated local trustee savings bank, operating in Scotland. This is says James Moore, “a one hundred and eighty years old pilot” that shows how regional banking can succeed. The co-operative has identified the key regions it wants to explore, and is now looking for champions and potential partners, before moving to raise capital for the first of the new regional co-operative savings banks. It’s been a great day’s work for Fair Tax campaigners. The letter that I and other business leaders signed, published today in the Guardian, pressed for European action in support of the principles of being transparent and responsible around the tax we pay. Co-ops UK, as with a number of other co-operatives and businesses such as Lush and SSE, are accredited with the Fair Tax Mark. We then saw a debate in the European Parliament, followed by a vote this morning. Encouragingly, the Parliament voted overwhelmingly for a basket of measures that included the development of a Fair Tax Payers Label in Europe – inspired by the UK Fair Tax Mark. The measures were detailed in a Tax Report from the Economic and Monetary Affairs Committee. Both the size of the majority (500 for, and just 122 against) and the diverse political support, from right to left, means that the European Commission will need to look at action more seriously than ever before, in the three months they now have to respond. If you know of businesses that would like to get ahead of the competition and secure a Fair Tax Mark, it would be a good time to pass the word. This is no twenty four hour wonder. Last week the Institute for Business Ethics released their latest polling of the public. Once again ‘tax avoidance’ is the number one concern of the UK public when it comes to corporate responsibility. For over a year, one of the biggest policy stories of common concern to co-operative enterprises has been the UK Government’s approach to regulation. This was mainly sparked by guidance the Financial Conduct Authority (FCA) issued in October 2014, which caused confusion and concern for our members large and small across sectors. Since then we’ve been involved in some quite vocal lobbying and campaigning, have gone into detailed consultation with our own members, and led in responding to two FCA consultations. 4. A clearer more accessible document. More than 600 co-ops responded to the first FCA consultation in November 2014, and another 150 responded to a second FCA consultation in July. We are working through the document and will be supporting co-ops to align with the rules. It is far from the end of changes we would like to see, to make it as easy and as natural to start and grow a co-op as any other form of business. But the extent of the improvements in policy terms is testament to the collective impact we’ve had this year with members and partners.